At least two more Palestinians died on Tuesday, taking the death toll from Monday’s protests to 60. An eight-month-old baby in eastern Gaza, who is reported to have died of tear gas inhalation, was among the victims. The number of wounded has crossed 2,700. Even as Palestinians prepared to bury their dead, nearly 50 were injured in clashes, as well as due to being hit by bullets and inhaling tear gas in Hebron and Bethlehem, among other places. Fresh protests took place on Tuesday, coinciding with the 70th anniversary of the Nakba, as well as the culmination of the six week-long Great Return March. Palestinian President Mahmoud Abbas called for three days of mourning, condemning Israel’s actions as a “massacre.” He also called for a general strike. Many rallies are expected in several West Bank cities, including Ramallah. Schools, colleges and business establishments in East Jerusalem downed shutters on Tuesday to protest the killing of the Palestinians. Global condemnation continued to pour in against Israel’s use of force on Monday. However, at the United Nations, the US blocked the adoption of a Security Council statement that called for an “independent and transparent investigation” into the killing of Palestinian protesters on the Gaza border. The statement, circulated by Kuwait, was supposed to include an expression of rage and sorrow on behalf of the Security Council over Monday's death toll. The US also joined Israel in blaming Hamas for the deaths. In response to the violence, South Africa condemned the “violent aggression carried out by Israeli armed forces” and recalled its Ambassador to Israel. Turkey also recalled its ambassadors from Israel and the US and expelled the Israeli ambassador. China, Ireland, the UK and Jordan were among the other countries which expressed concern at the firing by the Israeli soldiers. 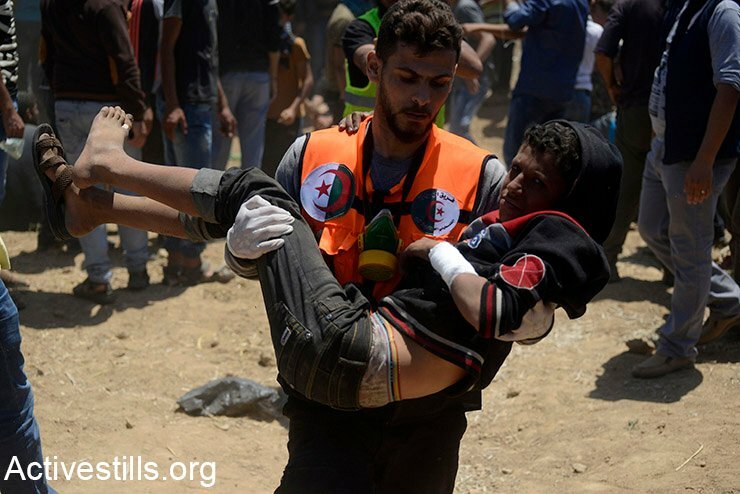 Peoples Dispatch brings you ‘On the Ground’ special report on the one year of the Great March of Return in Gaza. On Thursday, Israel launched airstrikes on nearly 100 targets in Gaza in the aftermath of what it claimed were rocket attacks on Tel Aviv.